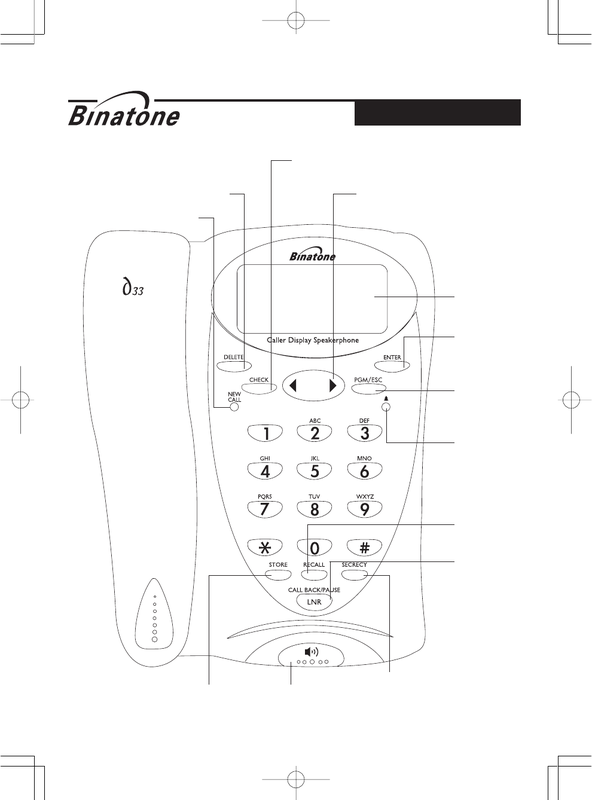 ■ Binatone Help Line: 01325 304473, 9.00 am to 5.00 pm, Monday to Friday. functions, to adjust and confirm time. other end cannot hear you.